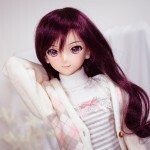 One of the quickest and easiest ways to update your doll’s look is a wig swap. But which wig to wear? 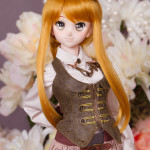 And how do you know that a wig won’t stain vinyl dolls like Dollfie Dream and Smart Doll? When shopping for wigs, there are a few key points to keep in mind- size, fiber type, and wig cap color. 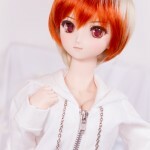 First of all, the size for Dollfie Dream and Smart Doll wigs is usually 8-9″. This refers to the circumference of the head at the widest point where the wig is worn. 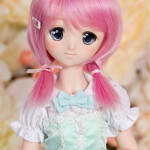 And since wig caps are usually made of stretchy material, an 8-9″ size wig will fit doll heads from 8″ to 9″ circumference. 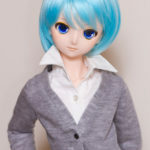 In many cases, a 9-10″ wig can be worn as long as there’s a silicon or fabric head cap on the doll’s head to add bulk and help the wig stay in place. 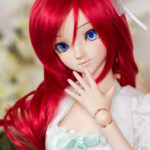 Of course, there are a few outliers- Dollfie Dreams with unusually small heads like Kos-Mos may need a 7-8″ wig instead, and same goes for some 50cm size dolls like vmf-50 and Azone. So double-check your doll’s paperwork if you’re not sure, but 8-9″ is generally the size you want. Next, fiber types refer to the material of the ‘hair’ itself. Heat-Resistant Fiber (HRF) is considered high quality and can be styled with hot irons and boiling water. Non-HRF fiber will melt with heat applied, and tends to have a glossier appearance. Mohair is a natural fiber harvested from goats and dyed into a variety of colors. Synthetic mohair, as the name implies, is a plastic imitation mohair with a wispy quality. There are also faux fur wigs that a great way to imitate short spikey anime hairstyles. 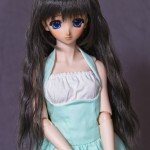 As of 2017, most Volks wigs are still made with non-HRF fiber. 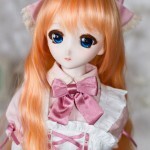 Fibers colored by dye or pastel powder are likely to stain vinyl- this includes natural mohair and some Leeke Art Wigs. Your final consideration should be the wig cap color. This is the stretchy base for the wig onto which hair fiber wefts are sewn. 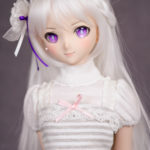 A white-colored wig cap is unlikely to stain vinyl dolls. Beige caps sometimes leave faint yellow staining, and dark-colored wig caps almost always stain. A fabric head cap can slow but won’t prevent staining from dark wig caps. Silicon head caps don’t prevent stains, either. 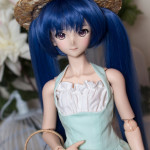 If you want to leave a wig with a dark cap on your doll, be prepared for staining after a few days. tl;dr version: Look for 8-9″ size wigs made with heat-resistant fiber and with light-colored wig caps if you care about styling or staining. Now, where’s the best place to shop for wigs? Once again, there’s lots of options, but shop around before you spend more than $30 on a wig! And look for shops that offer lower-cost shipping options, since EMS shipping to USA can run $35 or more. 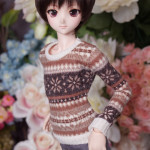 Leeke has a great variety of colors and styles, with seasonal limited events and random grab-bags at a discount. HRF fiber and generally good quality, though some of my limited style wigs have been a bit short on fiber, causing the wig caps to show without careful styling. Regular styles haven’t had that problem, though. Dark color wigs have dark wig caps which can stain. EMS shipping only. 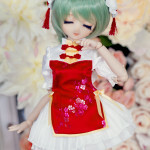 Good quality, similar to Leeke. Keep an eye out for sales. Dark colors have dark wig caps. EMS shipping only. Mandarake’s house line of wigs, Himekazura, is pretty good quality. 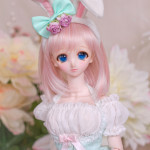 M size is 8-9″ and L is 9-10″. Styling is inconsistent- I don’t like the up-do’s or ponytail wigs, but otherwise good quality. 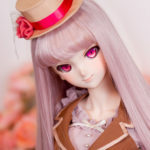 Some darker colors have light wig caps but not all. Mandarake also sells second-hand wigs of all brands and the prices are decent. Offers cheaper shipping options. 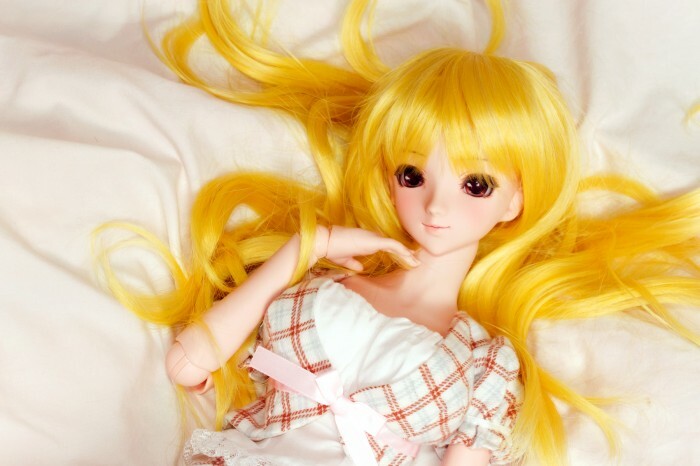 Online and in their Japan retail shop they sell a variety of used/second-hand wigs of all brands. 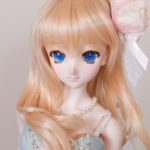 Dollyteria also has their own line of new wigs, which they stock occasionally- if you see a new wig you like grab it quick since they appear pretty limited. 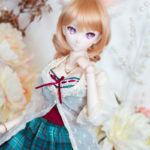 Check photos carefully since they do sell used items in worse condition than Mandarake will carry, but you can snag great deals here. Offers cheaper shipping options. 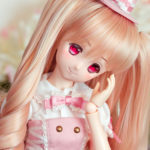 Good quality and even dark-colored wigs use light headcaps- the best choice if your vinyl doll needs a black or dark brown wig. Their wigs run small so size 9-10″ is recommended. EMS shipping only. 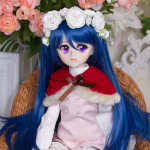 The fiber seems dry and a bit lower quality compared to Korean-made wigs like Leeke and Crobi. Lullaby Poem’s materials seem almost the same as Licht wigs. 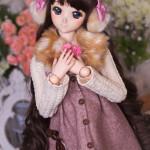 The style quality varies, with some wigs needing style touch-ups on arrival. Head caps are light-colored and they offer some unique colors and styles. EMS shipping only. Styling isn’t the best, but good materials and always has light-colored wig caps to my knowledge. It appears they no longer offer wig pre-orders for more styles and colors. EMS shipping only. 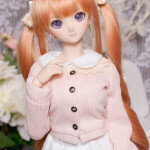 Dollfie Dream size fits nicely but the non-HRF fiber and styling are low quality for the price. SD size fits with a head cap. Dark wig caps will stain. 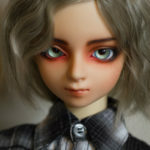 Volks USA only ships to North America, cheaper shipping options available. 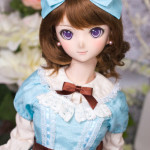 Volks International serves USA and the rest of the globe, but only offers EMS shipping. 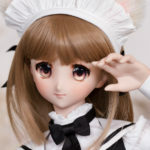 Volks International no longer accepts Paypal. 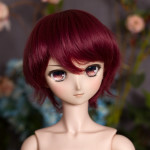 Doll Point in Tokyo is the exclusive seller for ‘Dream Wig’ for DD, which are made of HRF fiber and sell for 4000 yen. You can sometimes find these in second-hand shops like Mandarake and Dollyteria. Some shops won’t ship to US customers, so you’ll need to enlist a proxy shopping service. Pay attention to proxy fees as some charge a per-item fee that can be prohibitively expensive for small purchases like wigs. 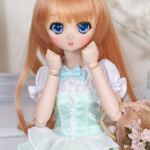 For Taobao purchases I use SpreeNow and for Japan I use FromJapan. 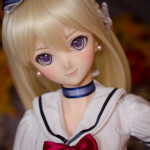 (Full disclosure- I’m a FromJapan affiliate and get a discount for referrals from that link). Proxy services that can combine orders are the most convenient- you pay domestic shipping for your items from different shops, which are then combined into single package that’s shipped to your home. A proxy can also help you bid on Yahoo! Auctions and similar services, so it’s pretty convenient if you’re combining winning bids with shop purchases from the same country. Nice selection with light-colored wig caps. Some of the styles are a bit weird- super-thick bangs, for example. The photos on the site are pretty accurate as far as what you’ll get. According to their Instagram they ship directly to international customers, but I haven’t tried ordering this way yet. 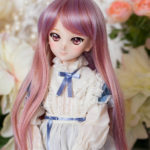 High-quality wigs made with light-colored wig caps. It seems it was previously possible to order Internationally via email, though I never get a response from them. They also sell on Yahoo! Auctions regularly. I’m unsure of their current shipping options. Quality varies but generally very good wigs for their price. Dark colors had dark wig caps. My wigs needed a bit of a restyle after getting squished in the mail, but otherwise they’re quite nice. Darker colors have dark wig caps. Fibers are dry and generally lower-quality make and styling. They have another storefront for international customers, but with less selection and higher prices. Where you end up shopping for wigs will depend on the styles you want and your budget, but hopefully this guide gives you some more options! Good luck!